Someone asked me the other day why I have called my new personal blog Terrier and Finns. So I feel for those that do not know me to explain… I am half Finnish. In Finland, there is one lake for every twenty-six people. Drive through this country in the summer and you will find two colours that dominate the scenery: blue and green. The landscape is a mix of forest and over 188,000 vivid blue lakes surrounding this beautiful Scandanavian country. The Finns certainly have an infinity with water, with most having their homes on the lakeside or holiday cottages where they spend their summers. The lake I share with 25 other people! Watersports are a mindful way of living for the Finnish with kayaking, rowing and sailing being popular pastimes when the warmer months arrive. With most summer houses having saunas, skinny dipping comes naturally by running and jumping into the clear waters of the Finnish lakes to cool off! The silver birch tree has a special position in the Finnish landscape owing to its pale greenness and in the winter its silver sharp silhouette. With ten trees for every Finnish person, the country has forestry very deep rooted in its culture with a particular love for the silver birch tree. This silvery tree is versatile in its uses: birch sap, bark, birch tar, wood for axe handles and as firewood which is why this tree is so synonymous to Finland. Not only are its leafy twigs collected and tied in bundles for winter fodder for sheep and other animals, but the birch whisk is also traditional for use in saunas. I shall tell you more about that later! Being half Finnish and having the equine bug, I am very interested in horses that are popular in Scandinavia but particularly in Finland. The Finn Horse is a popular breed in the country and is used for both riding and draught work too. It is the only cold blood breed to be developed in Finland. The Finn Horse is sometimes known as the “Finnish Universal” as it is a brilliant horse for agricultural and forestry work, harness racing, and riding. In 2007, the breed was declared the official national horse breed of Finland. This super breed of horse is also well-suited to everyday riding, being calm and steady, hard-working, obedient, healthy and enduring. Many have also been trained for driving, and therefore are familiar with unusual noises and can be controlled from behind easily. All in all, they make a very hardy but versatile breed but not many Finn horses are seen in the UK. With a population of just five million, over half of the households in Finland have a sauna. The sauna may be deemed to be a luxury but the Finns think saunas as a necessity in their lives. It is a place to relax with friends and family but most importantly it is associated with strong healing and wellness benefits. Regular sauna bathing is highly effective in the treatment of many ailments and diseases, so these hot rooms are very beneficial to your health physically and mentally. The best thing to wear (and definitely not socks) in the sauna is probably nothing! But with modern day, public saunas will insist on a bathing suit or a carefully wrapped towel to cover your modesty. With water being splashed on the hot coals, you can add eucalyptus or lavender to help clear sinuses or just take in the medicinal benefits from the oils. As mentioned earlier, branches of birch leaves are tied together which is known as “vihta” which you beat against your skin to flush out toxins in the heat. When the heat becomes too much, the tradition is to run out to the lake and jump in to cool down! You will certainly feel very energised after! The most obvious contrast in Finland is the seasons. The same lake where the Finnish swim, sail or fish in summer forms a perfect skating rink or skiing arena in the winter. Warm, light and long summer nights gradually shorten, kissing goodbye to many daylight hours in the winter. I tend to only visit Finland in the summer as it never gets completely dark. In early July the sun is down only a couple of hours a day, and even then you can still see it peeping over the horizon. Temperatures in the summer are comfortable but can rise to up to thirty degrees making it a super place to visit for some Scandinavian summer sun. Like many Nordic countries, Finland has some of the world’s best “Freedom to Roam” opportunities. This means that you can pitch a tent, forage for wild blueberries or fish in the lakes for free without worry. This makes Finland a fantastic rural place to visit. 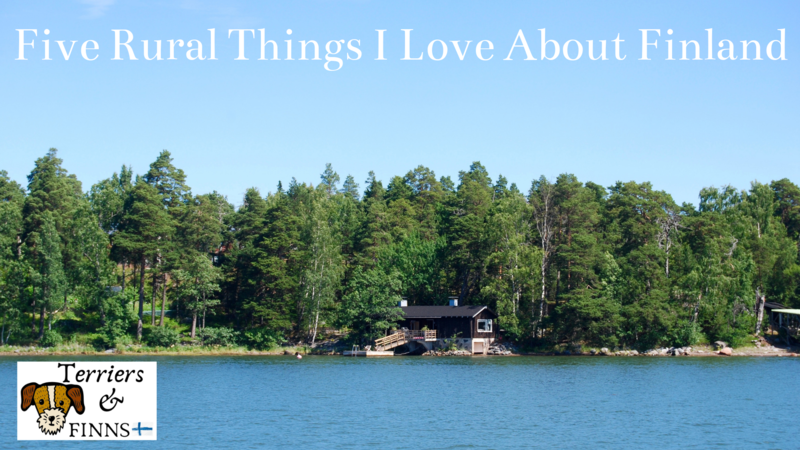 I have such lovely memories of spending time with my family in Finland and it still continues to be a big part of my life. It is a country which has a very special place in my heart.